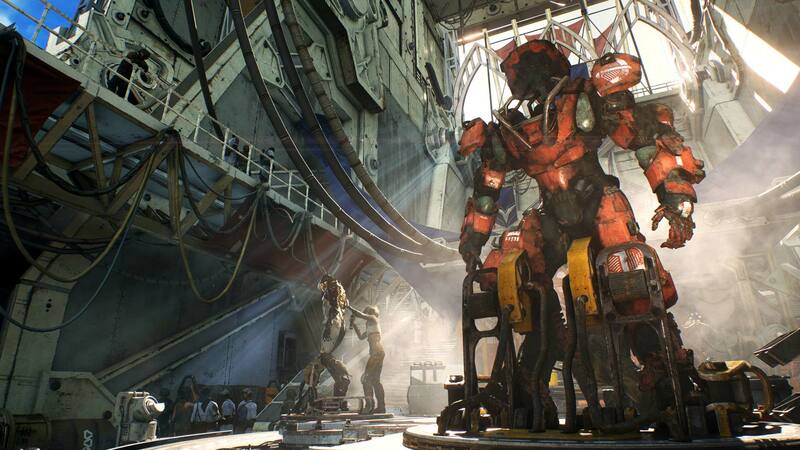 First announced in E3 2017, Anthem is legendary role-playing developer Bioware’s upcoming action-RPG title and has you flying around in robotic exoskeletons and fighting aliens in a hostile alien world. 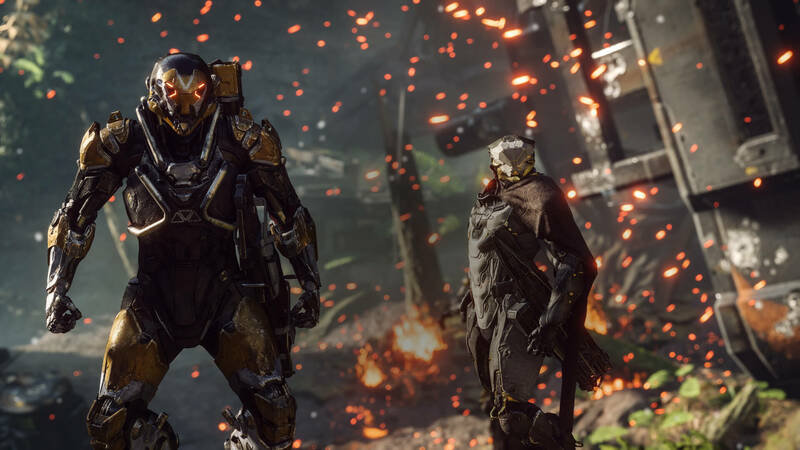 With the full release less than a month away, on February 22, Anthem has launched its VIP Demo over the weekend. The demo allows players to experience a significant chunk from the middle of the game. With excitement at its maximum, everyone eligible to play the Anthem VIP Demo queued up in the very first minutes, only to discover the platform was not able to withstand the influx of players. The sheer number of Anthem fans resulted in several hours of loading screens and disconnections. A few hours in, most of the problems were fixed, and I was finally able to play, but not before the issues roused a commotion. With Anthem being an online-only game, its servers and platforms will need to support some serious player activity. If we’re looking at the glass half-full, the high server traffic seems to point out that the final game might host a large number of active players, which would be wonderful for such a title. While the grand scheme of Anthem’s story is still quite a mystery, the bits of pieces we are aware of are already slowly falling into place. What we know is that we play as a Freelancer helping the humans barricaded in the outpost Fort Tarsis. A Freelancer is what the game calls the men and women piloting the Javelin exoskeletons we keep seeing in the game’s art and screenshots – and the ones we get to fly in the demo. In the Anthem VIP Demo, you set out to retrieve a powerful relic for a Fort Tarsis engineer named Matthias. After you eventually find it, he accidentally activates it, causing the artifact to splice him into three separate people with three distinct personalities. You now need to go out into the world and find a solution and save Matthias while going head to head with the vicious wildlife and a faction of deadly pirates known as the Scars. While it’s a little more quirky than your average BioWare game’s story, I’m sure that within the context of the full game, things will become clearer. During the demo, we got to visit Fort Tarsis, which hosts most of the dialogue and story bits of Anthem. The outpost is large and quite confusing to explore, especially when most of its features were not available during the demo. You also walk around it in first-person, which can be a bit confusing since most of the action occurs in third-person. Apart from dialogue in various locations, Fort Tarsis is home to the Forge, where you customize your Javelin armor and set out on expeditions. Once you set out on expeditions, you finally get inside the Javelin suits, and the real game begins. Much like Monster Hunter World, Anthem’s missions take place in the same open world map, but every single one takes you down different paths and areas. You can also explore the map freely, outside of missions, and tackle random events instead. 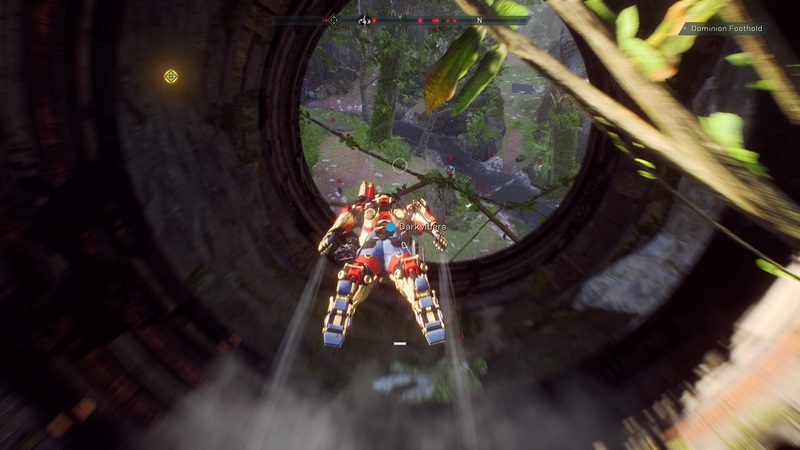 In Anthem, you run around in hi-tech exo-suits, so what better way is there to travel than to fly? Flying was probably the aspect I was most excited for, and it sure delivers. The ability to fly freely around the map (at least until your jets overheat) makes exploring the vast world exciting and gives you plenty of ways to get to the objectives. Flying also lets you tackle enemies from any direction, or move back into cover after being cornered or swarmed by enemies. 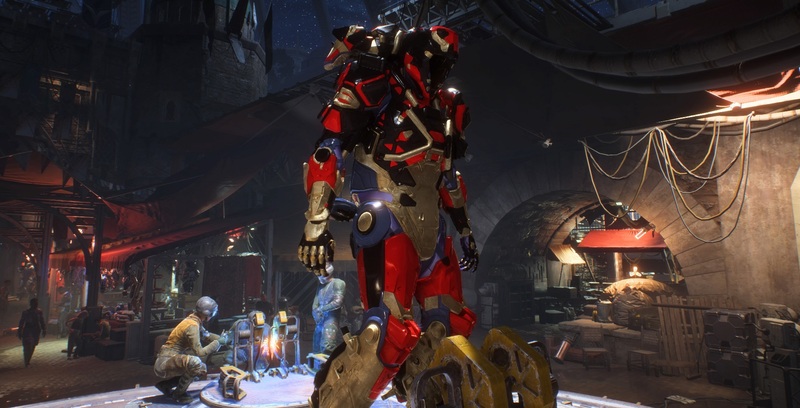 At the start of the Anthem VIP Demo you start with the Ranger Javelin, but after leveling up to level 12, you unlock a choice of a second Javelin. Each Javelin has two weapons, a direct damage special attack, an area damage special attack, and a support action. They also have an ultimate move that needs to charge up before you can use it. These can be combined during combat to take down mobs of enemies or large ones while working together with other players. In the core of Anthem’s gameplay lies the combat, and it is best experienced in cooperative mode. Teaming up with other players, whether by matchmaking or with my friends, I was able to devise fun tactics to take down the meanest of mobs. You get the feeling like you’re a group of superheroes battling against insurmountable odds and still winning. In the Anthem VIP Demo, players had access to three story missions and a stronghold mission. Stronghold missions are hard, optional, co-op missions which you complete with friends or by matchmaking with randoms, and resemble Flashpoints from Star Wars: The Old Republic. This stronghold mission in the demo is similar to the one we’ve seen in Gamescom last year. It wouldn’t be an action-RPG without roleplaying and customization. Luckily, the Anthem VIP Demo had plenty of those. With each mission you complete, you unlock new loot that you can equip to your different suits. Equipment has different stats, and your power rating is calculated based on the gear you have on. You also get to design your Javelin’s appearance – you can purchase designs for parts and equip them, pick animations and emotes, and of course, paint your Javelin in all the colors of the rainbow (or black and white if you’re edgy). 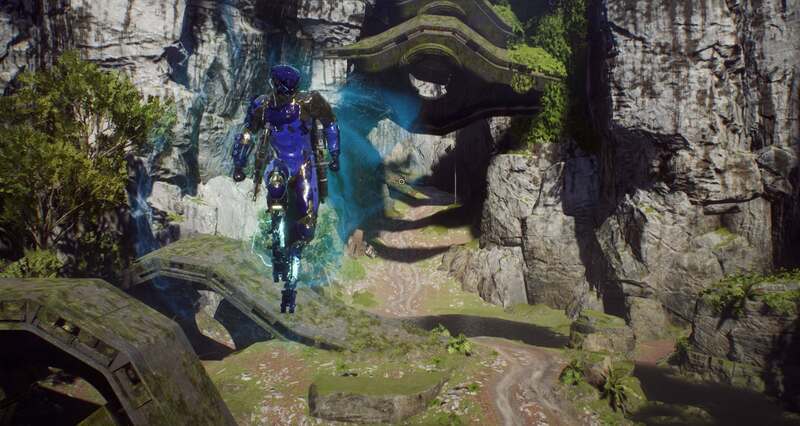 Paintjobs in Anthem are very detailed, and let you pick the material and color of each layer of your Javelin armor. It is just the right amount of creative freedom that allows you to create colorful and personalized Javelins that you can confidently show to the world, like the one you see below. Anthem’s next phase of testing begins next week, during the Open Beta on February 1. Players will be able to get a taste of the same missions we played in the VIP Demo. Also, players who participated in the demo will be able to carry their progress into the second beta and continue their journey. It also means that the beta will further stress EA’s servers and platforms so that they are ready for the game’s full release. Anthem comes out on February 22 for PC, Xbox One and PlayStation 4. It’s almost time to suit up.